Local members of the 5000 Role Models of Excellence Duval Chapter, a high school mentoring program, recently participated in a three day college tour visiting Valdosta State University, Florida State University, Florida Agricultural and Mechanical University and the FAMU-FSU College of Engineering. 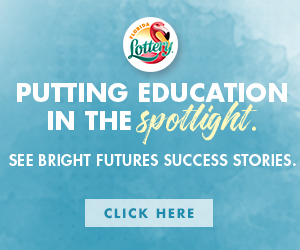 Participating students attend the following high schools: First Coast High, Jean Ribault High, Robert E. Lee High, Samuel Wolfson High, Terry Parker High and Westside High. The local high school students also spoke to former Duval County Public School students who were thriving in those programs. This year, several of the graduating seniors received scholarships to four year institutions. The organization hopes to double that number for next school year through business and community partnerships. For 2018-2019, the program will tout over 400 students in middle and high schools and seven high schools throughout Duval County. 5000 Role Models of Excellence Project was founded by Congresswoman Frederica Wilson of Miami, FL over 25 years ago as a way to help students with the largest achievement gaps, work to narrow the disparity through early exposure to successful men of color and various career opportunities. 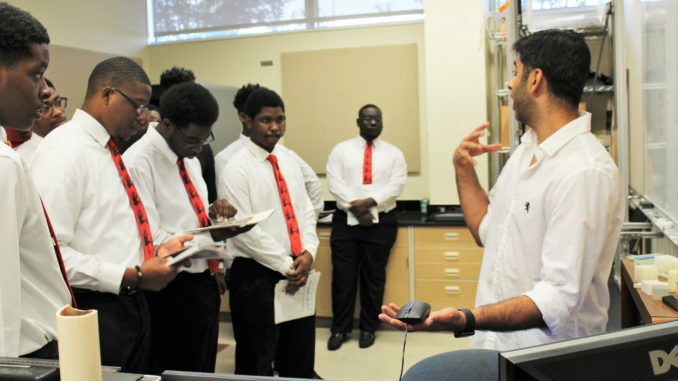 Shown L – R are students Derrell Johnson Jr. (Lee High); Jordan Mills (Ribault High); Zacarri Boykin (Ribault High); Samir Thompson (Westside High) and Denard Wyche (Lee High).